Finding the right accommodation can make or break a vacation, but it’s rare to come across lodging so cool you’re compelled to plan an entire trip around it. Lighthouse hotels are that cool. Location is an obvious draw: designed to help sailors find safe passage through rough or rocky waters, lighthouses occupy precious oceanfront real estate where the view is unobscured and mind-blowingly wild. 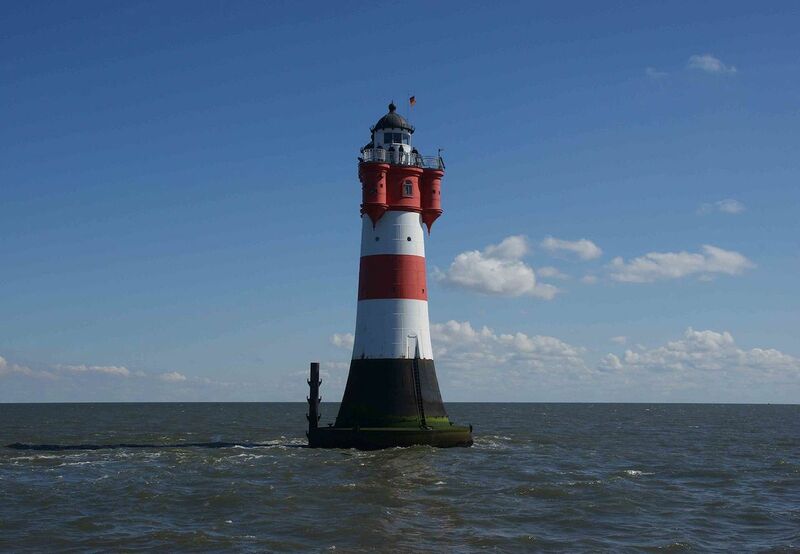 For a truly singular getaway, head to one of these nine lighthouses across the globe that you can actually sleep in. 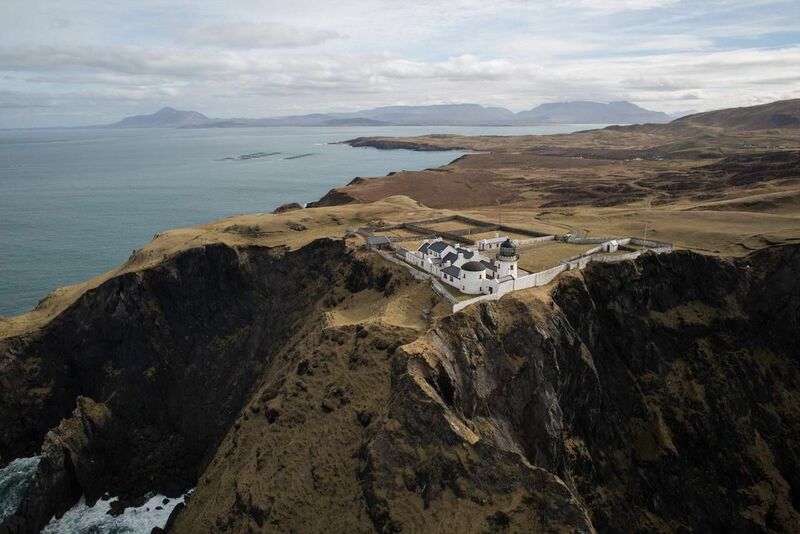 If you like the idea of sleeping in a lighthouse but generally like a bit of luxury, this is the accommodation for you. The beautiful property overlooks Clew Bay and has been gussied up to give guests a more glamorous experience. The rooms are sleek and clean, but the common areas are what really stand out at Clare Island Lighthouse. There are books, games, and even a piano over which guests are encouraged to mingle. A minimum two-night stay is required with rooms starting at $525 per person for both nights. 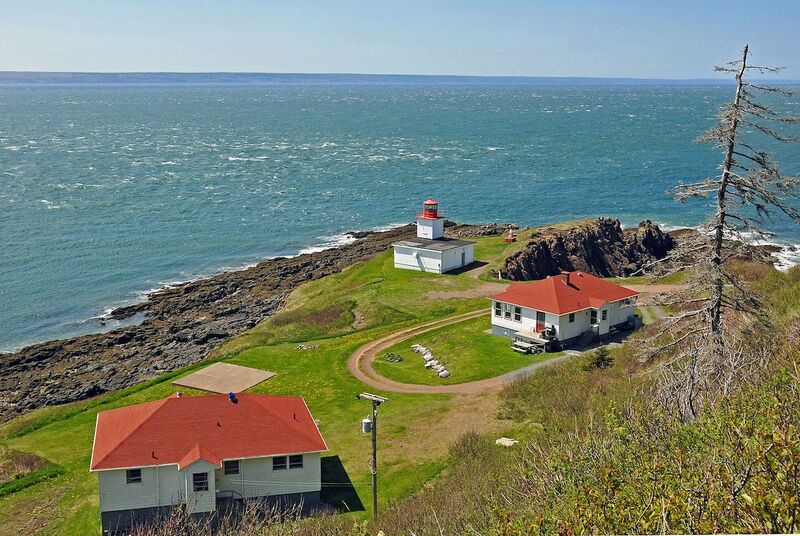 Booking a stay at the Lighthouse on Cape d’Or is like getting a VIP pass to the Bay of Fundy, one of North America’s natural wonders. The lighthouse keeper’s quarters have been turned into a four-bedroom inn (guests can reserve individual rooms for $125/night or rent the entire property for $435/night) and a neighboring restaurant. Guest rooms are simple, yet comfortable, and the breakfast and dinner offerings are the bomb. The only hard part about staying at the Lighthouse on Cape d’Or is trying to decide which is more breathtaking: the view of the Bay from the tower or the panorama of the lighthouse set against the craggy Nova Scotia cliffs. Lighthouse keeping can be a lonely lot, which is why many lighthouses constructed large keeper’s houses so that the person running the light could invite friends who wanted a place to stay. At Heceta Head Lighthouse, the house has been turned into a bed-and-breakfast with six rooms that can accommodate up to 15 guests. Price starts at $199/night for two guests in one room during the low season. The views are stunning, set atop a cliff on the Oregon Coast where waves crash against the rocks as you enjoy dining al fresco on the house’s front porch. 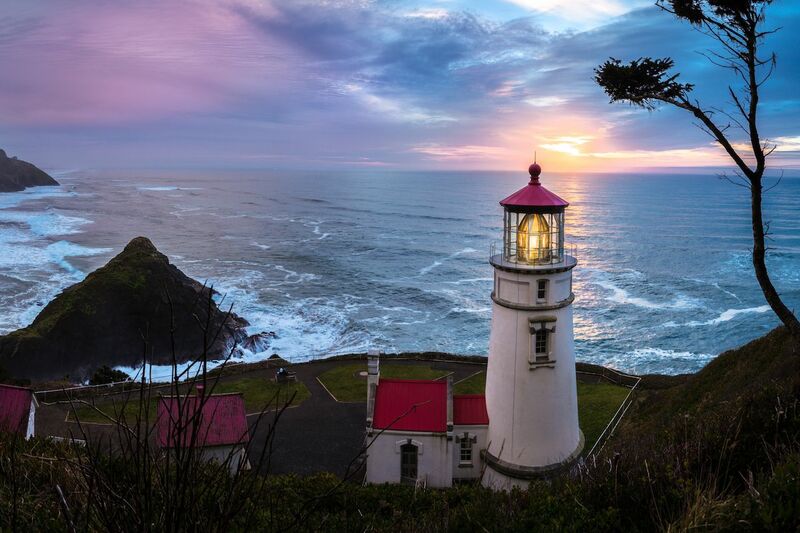 The lighthouse still operates, and the light has been described as the “strongest in Oregon.” So, if you’re looking for a well-rested weekend, maybe pack a sleep mask. Cape Otway Lightstation is the oldest working lighthouse in Australia, though you’d never guess that the bright white landmark dates back to 1848. Guests get their pick of accommodation between the Lightkeeper’s Cottage, Lighthouse Lodge, and Lightstation Studio. There are several possible sleeping arrangements depending on party size — the Lightkeeper’s Cottage alone can hold up to 16 guests — so nightly costs range from about $250 to $350. 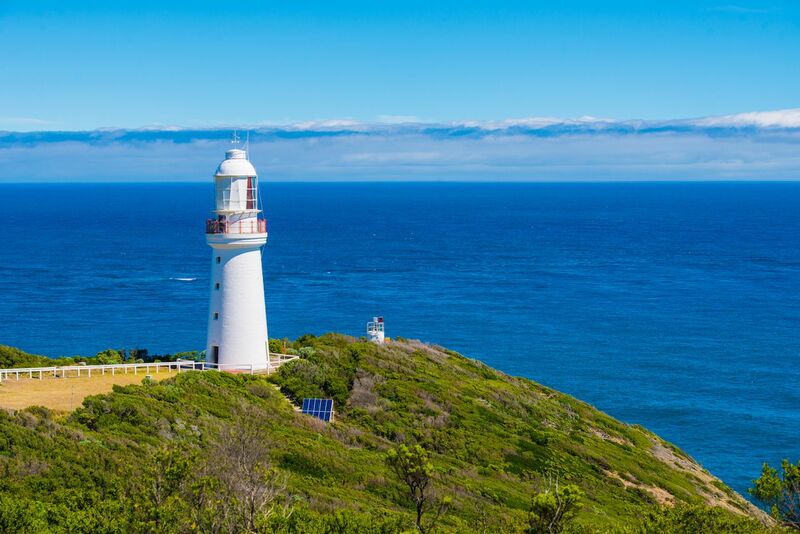 Worth visiting in its own right, Cape Otway Lightstation is also a top attraction on the Great Ocean Road, making it a perfect pit stop for anyone driving along the Victoria Coast. 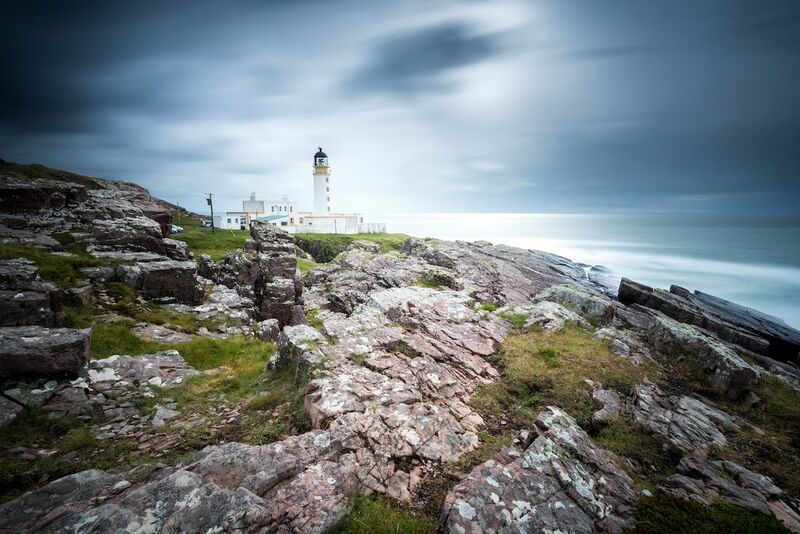 Rua Reidh Lighthouse sits at the mouth of Loch Ewe in northwest Scotland, facing the Isle of Skye and Outer Hebrides. Built in 1912 and still operational, the lighthouse doubles as a popular backdrop for wedding photography, as well as a special place to hang your hat for a night or two. The lighthouse keeper’s and assistant lighthouse keeper’s houses have been converted into a guest house and self-catering apartment, which sleeps up to five. The accommodations have been made warm, cozy, and colorful touches like embroidered rugs and small artworks have made the place really shine. Room rates start at $126/night. 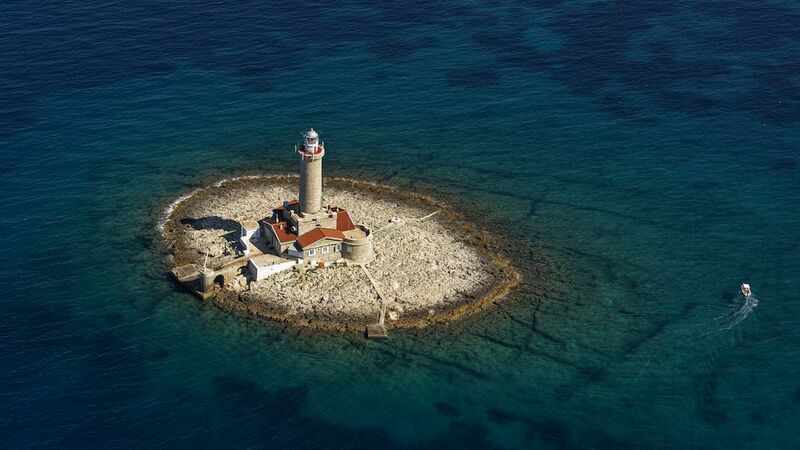 Roter Sand Lighthouse is as remote as accommodations come. It sticks out of the North Sea off the coast of northern Germany and provides the most insane view from the top of the tower. It’s a rustic experience — there’s no heating or electricity, and guests are expected to bring their own sleeping bags — but the minimal furnishings don’t equate to a small price tag. The base rate for a one-night stay at Roter Sand Lighthouse is $728, giving you something to save up for. You don’t just get access to the lighthouse when you visit Porer — you get an entire island, granted one that only takes a minute or two to circumnavigate. Porer sits roughly a mile and a half off the southern tip of Croatia, so visitors get an eyeful of the Adriatic Sea at all times. There are two, four-bed apartments on the ground floor of the lighthouse, both of which are outfitted with fully-equipped kitchens and modest decor. Apartments go for around $80/night during the low and off seasons and $150/night between June and September. If you love a good sunset but don’t feel like sharing the view, Porer should be next up on your to-stay list. 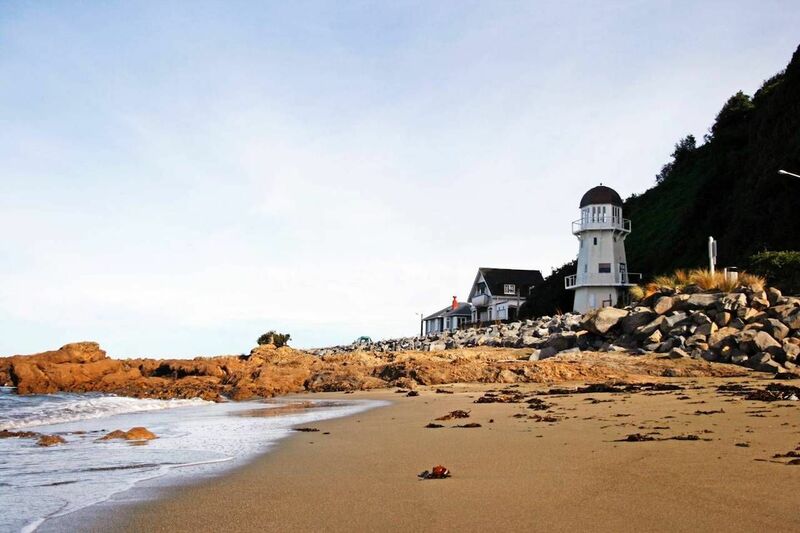 It may not be the tallest or oldest lighthouse, but this Island Bay fixture is not without its charm. It’s located in a suburb of Wellington and comes well-equipped with a kitchen, bedroom, and lounge area, which has killer views of both the South Coast and South Island in the distance. Better still, the lighthouse sits just ten minutes from downtown Island Bay, so guests always have something to do, as well as somewhere to escape to. You can rent a room with breakfast for $200/night between Monday and Thursday or splurge on a Friday or Saturday reservation, which costs $230/night with breakfast. This lighthouse sits in the swanky golf resort at Haig Point, where guests can spend their nights before hitting one of the top golf courses in the state. 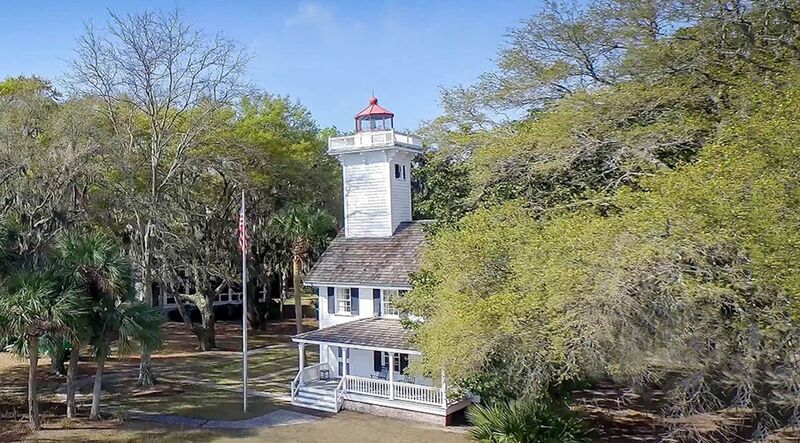 The lighthouse was built in 1873 not far from Hilton Head, originally constructed to help guide ships safely between Point Royal Harbor and the Savannah River. Now it serves as a two-story guest house, complete with a modern kitchen, air conditioning, two bathrooms, a powder room, and two bedrooms with views out over the water. Price starts at $499/night for four guests. You can’t get up into the actual light tower, but the large front porch makes up for it. When you’re enjoying twilight with a cold beer in a rocking chair, looking out over the water from an historic lighthouse, antique details like old lamps only add to the experience.